The San Antonio City Council narrowly voted to prevent Chick-fil-a from opening a restaurant at the city’s airport on Thursday due to the company’s alleged bias against LGBT rights. The council voted, 6-4, for excluding Chick-fil-a from the overall restaurant and concession space operated by Atlanta-based airport concessionaire Paradies Lagardère. Chick-fil-a has been accused of anti-LGBT behavior for years. CEO Dan Cathy first drew condemnation from LGBT groups in 2012 when he said he supported “the biblical definition of the family unit” — marriage only between a man and woman. The agreement with Paradies Lagardère was for 10,000 square feet in food and concession space, including not only the Chick-fil-a, but also a Smoke Shack, San Antonio Spurs retail store and coffee shop and bar. The Chick-fil-a would have replaced Raising Cane’s, also a chicken restaurant chain. The Chick-fil-a was set to fill just 658 square feet of the deal, according to the agreement. (Moment Editorial/Getty Images, file photo) Chick-fil-A restaurant at Jacksonville Beach, Florida. The Chick-fil-a would’ve paid $366,507 annually in rent to the city as part of a guarantee of $2.165 million in annual rent from the company, according to the concessionaire agreement. Chick-fil-a also would’ve paid 10 percent of annual gross receipts to the city. The lease would’ve begun Jan. 1, 2020. 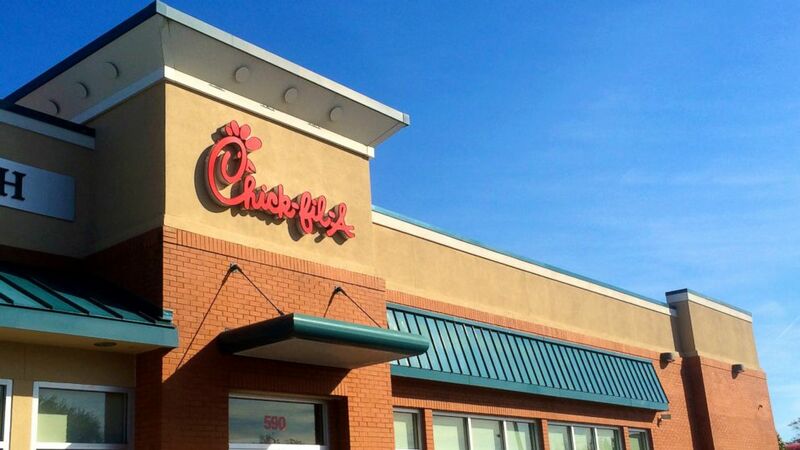 “With this decision, the City Council reaffirmed the work our city has done to become a champion of equality and inclusion,” District 1 Councilman Roberto Trevino, who voted against Chick-fil-a, said in a statement Friday. “San Antonio is a city full of compassion, and we do not have room in our public facilities for a business with a legacy of anti-LGBTQ behavior. 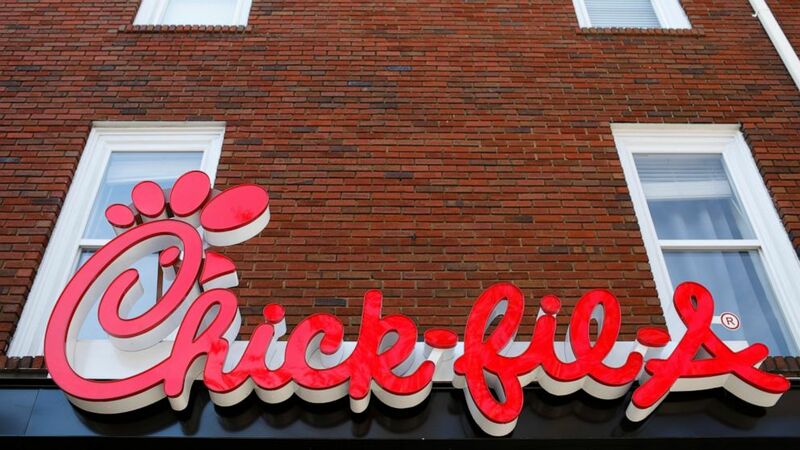 (AP) In this Oct. 30, 2018 file photo, Athens newest Chick-fil-A signage is set to open in downtown, Athens, Ga.
Chick-fil-a said in a statement to San Antonio ABC affiliate KSAT that they were disappointed by the vote. Just this week it was reported by ThinkProgress that Chick-fil-a had donated $1.8 million to conservative groups that advocated against homosexuality, mostly the Fellowship of Christian Athletes, in newly released 2017 tax filings. Chick-fil-a, founded in 1946 by Cathy’s father, S. Truett Cathy, operates more than 2,000 restaurants around the country.